Front cover of Gay Times, December 2005. From LGBT Magazine Archive. 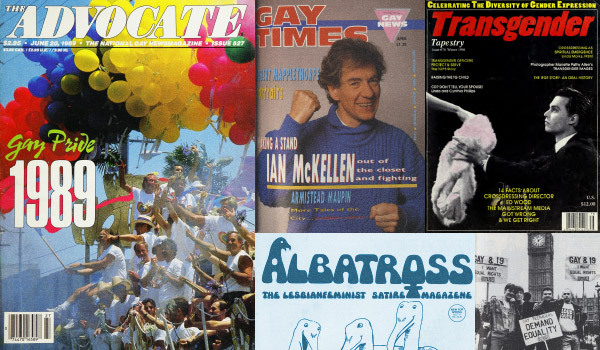 The archives of magazines serving LGBT+ communities are of central importance for research into LGBT history, often being the principal sources for the documentation of gay cultures, lives, and events. Researchers consulting these publications may trace the history and evolution of myriad aspects of LGBT history and culture, including legal contexts, health, lifestyle, politics, social attitudes, activism, gay rights, and arts/literature. Despite the value of these publications for research, however, locating the backfiles in print format has been difficult for researchers as they have not typically been collected by libraries. 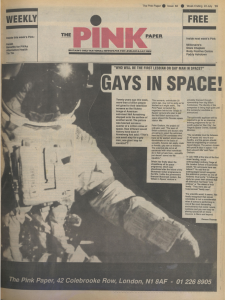 The archives of leading but previously hard-to-find magazines are included in LGBT Magazine Archive, including many of the longest-running, most influential publications of this type. This includes the pre-eminent US and UK titles – The Advocate and Gay News and its successor publication Gay Times, respectively. As well as titles such as The Pink Paper, Just for Us and Transgender Tapestry. LGBT Magazine Archive provides indispensable material for dedicated LGBT studies and broader gender/sexuality research, while also catering to interests in many related fields, such as 20th-century history, sociology, health studies, political science, and psychology. Access LGBT Magazine Archive via e-resources trials (access on-campus is direct, for off-campus access you must use VPN.). Some publications may contain explicit content. You can access all the newspaper and magazine digital archives already available at the Library via the Newspapers and Magazines list. This entry was posted in LGBT+ History Month, Library, Library resources, Trials and tagged Bisexual, Britain, databases, Gay, gender studies, history, Lesbian, LGBT+ History Month, magazines, media, online resources, politics, primary sources, Queer studies, Social & Political Sciences, sociology, Transgender, UK, United States, USA by spslibrarian. Bookmark the permalink.